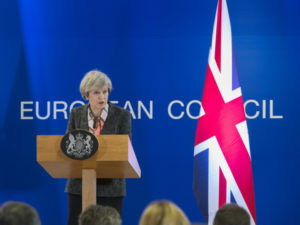 Downing Street has insisted that Theresa May is confident of securing a Brexit deal with Brussels despite Liam Fox’s assertion that the UK appears set to crash out of the EU without reaching an agreement. Whitehall sources said they believed there was only a very small chance of the government failing to secure a deal, but that preparations were being stepped up in what they described as the unlikely event of that taking place. They suggested that the international trade secretary remarks on Sunday were part of a deliberate strategy to talk up the prospect of a no-deal Brexit in order to put EU leaders under pressure to take the prime minister’s Chequers plan seriously. Ministers, however, have been growing increasingly anxious that Brussels’ determination to stick to its red lines despite a round of intense British diplomacy in recent days – including May cutting short her holiday to meet the French president, Emmanuel Macron – could spell trouble ahead. Fox put the chances of a no-deal Brexit at “60-40” on Sunday despite both sides saying they wanted to reach an agreement on the terms of the UK’s departure from the bloc in March 2019. He blamed the intransigence of the Brussels machine for the increasing risk of no deal. “It’s up to the EU27 to determine whether they want the EU commission’s ideological purity to be maintained at the expense of their real economies,” he said.